with detected or undetected hearing or vision loss. There are a wide range of techniques and procedures for assessing students who are experiencing learning difficulties. Although such techniques and procedures may vary according to the difficulties experienced, they should include skilled observation and/or application of appropriate test materials, e.g. using P & M benchmarks for assessing reading. 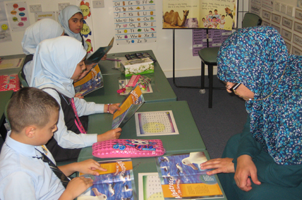 Assessment procedures should lead to the provision of quality teaching programs for individual students. Assessments are conducted by class and learning support teachers. Assessments are an ongoing process. This process involves the learning support teacher working on a one-to-one basis with students who have been identified as ‘at risk’ of failure. 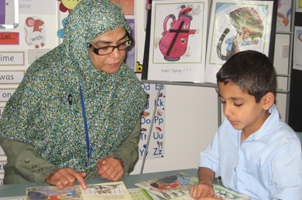 During support sessions, teachers are actively involved in explicit teaching methods; modelling should be utilised in all speaking and listening, reading and writing opportunities.